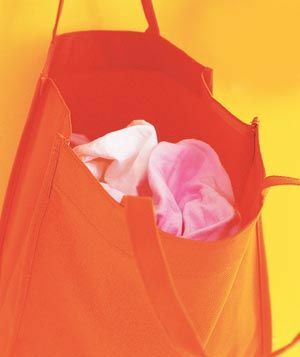 Hope everyone has been enjoying their weekend. 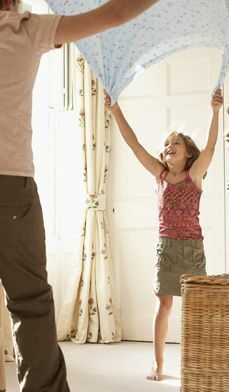 While we have had a beautiful couple of days weather wise, my husband and I have starting making our long outdoor to-do lists for the summer. 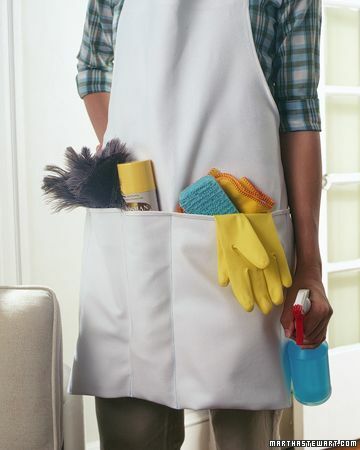 However, before heading outdoors, the huge task of spring cleaning is hanging over my shoulder. 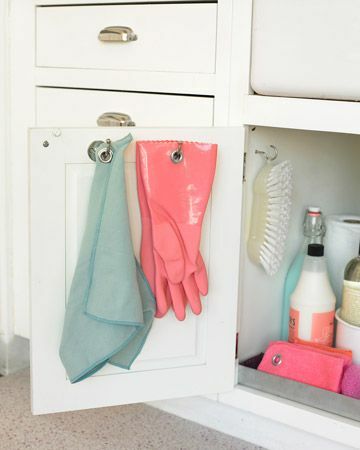 For this weekends inspiration and ideas I have put together some eye candy dedicated to organizing and storing all those cleaning products and supplies. 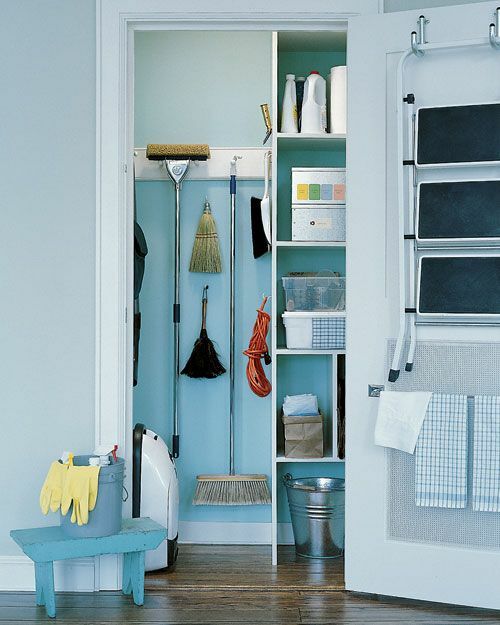 I admit, browsing through these photos has almost given me the motivation I need to start my spring cleaning…. 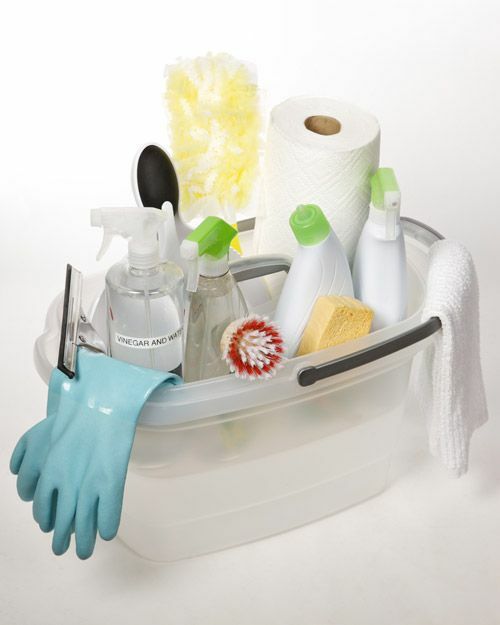 And if you’re looking for some Non-Toxic, safe cleaning formulas to easily make yourself – don’t forget to check out all the recipes for Homemade Cleaning Products from last year. 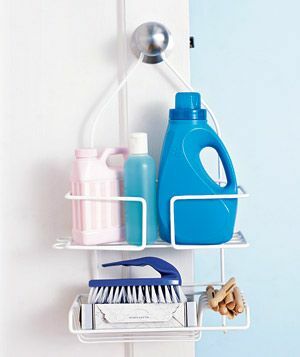 Hooks and spring load clips help keeps mops and brooms organized and common used household tools handy. 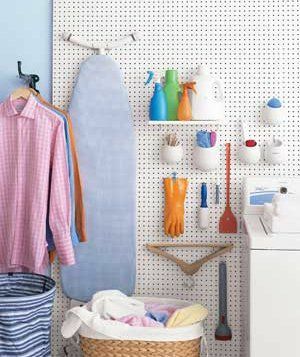 Add a sheet of peg board to closet walls for hanging and organizing cleaning essentials. 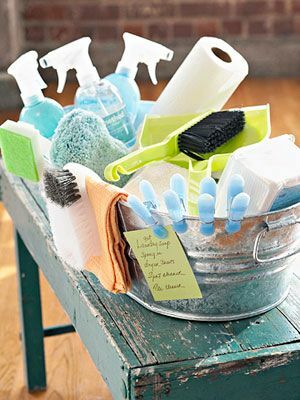 Corral essential kitchen cleaning supplies in a bin or bucket – You can find a printable checklist for stocking a kitchen cleaning kit on Martha Stewart. 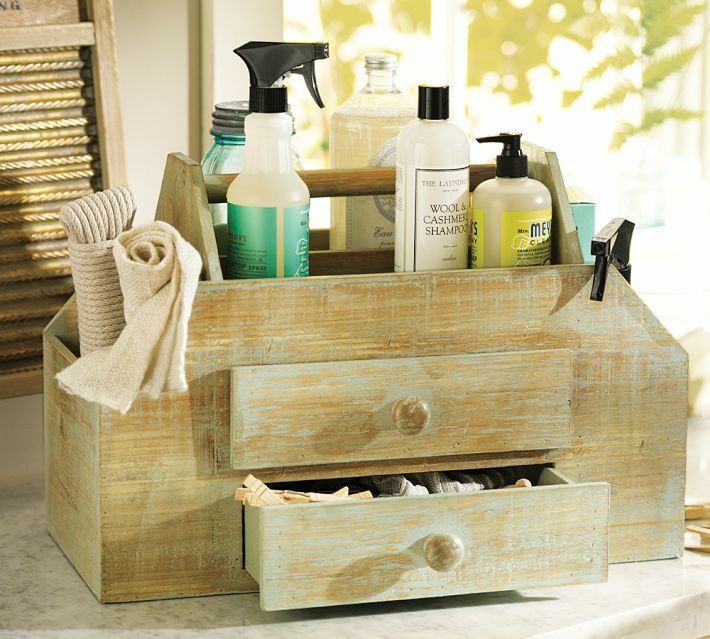 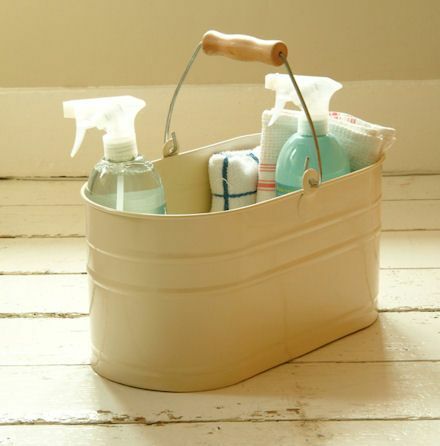 Load frequently used cleaning products on a shower caddy – easy to transport from room to room. 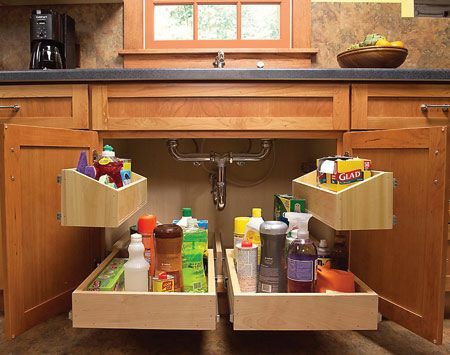 Build these handy undersink cabinet roll-out trays with simple carpentry tools and some careful measuring – plans and step by step instructions from The Family Handyman. 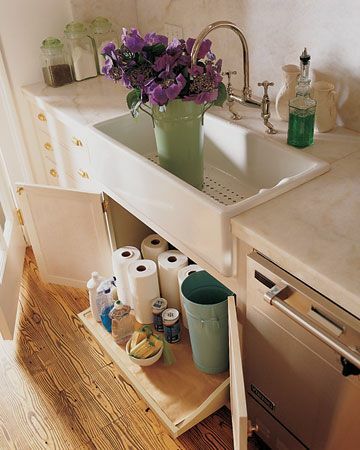 The addition of a lazy Susan to your cleaning closet can help keep cleaning solutions easily accessible and at hand. 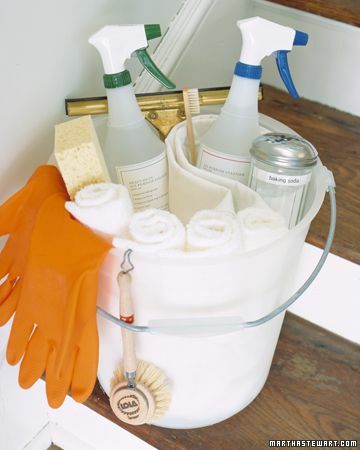 Forget the folding and keep smaller cleaning rags organized in a bag or basket. 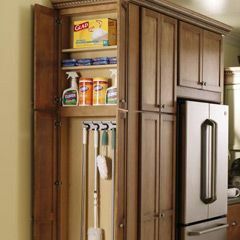 Use clothespins glued to the inside of cabinet doors, or other clips and hooks, to hang gloves and other items. 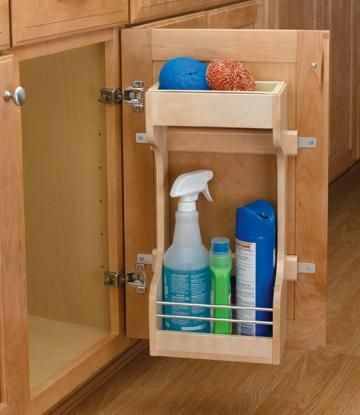 Install a tension rod or small curtain rod underneath a sink or in a closet to organize cleaner bottles – simply hang them from the triggers. 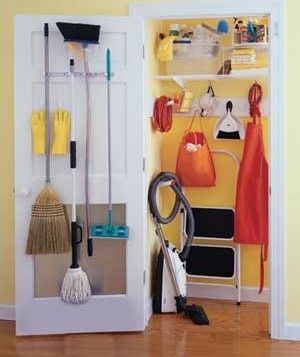 Right at Home Spring Cleaning Room by Room Checklists – seven printable spring cleaning checklists. 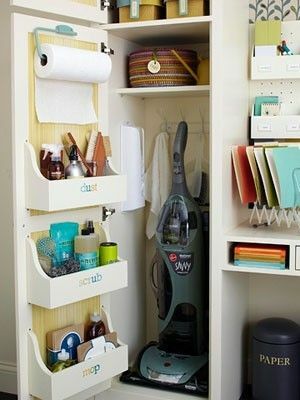 One list for each room in your home – containing tasks, suggestions, tool and product recommendations, and helpful tips. 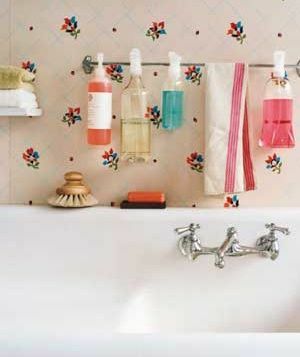 Martha Stewart Spring Cleaning Checklist – printable checklist containing information on cleansers, stain removal, fabric care and storage. 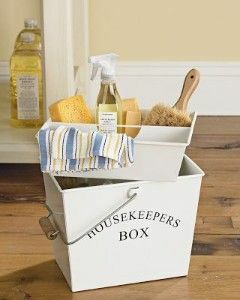 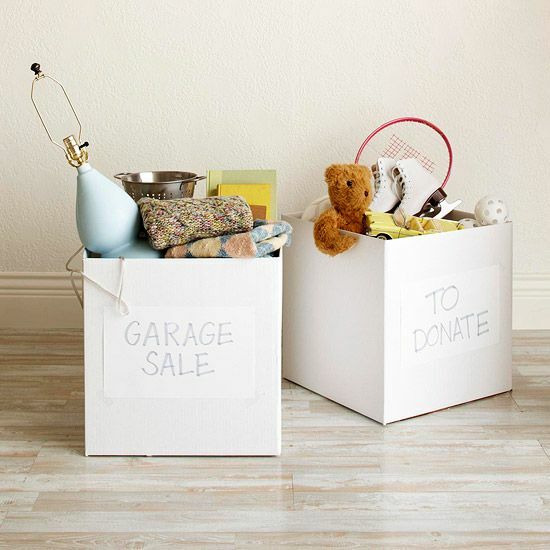 Better Homes and Gardens Spring Cleaning and Organization Guide – contains a step-by-step guide for repairs, decluttering, and around-the-house spruce-ups. 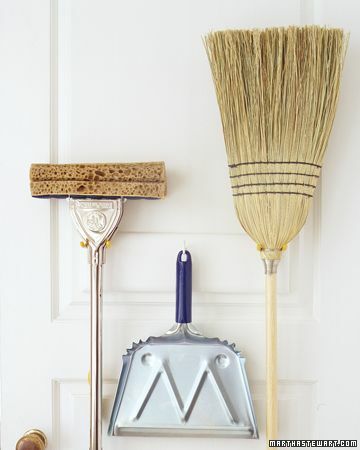 Have you began your spring cleaning regiment yet? 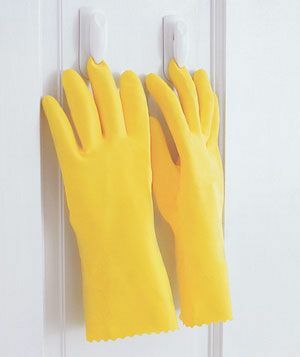 Oh.my…I SO need to do some Spring cleaning! 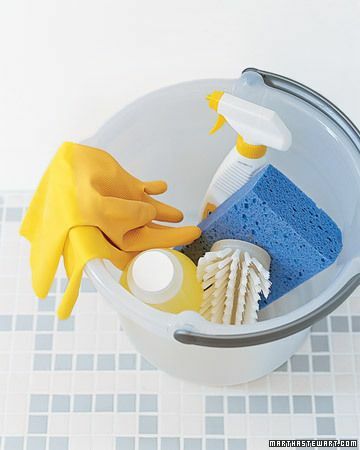 Thank you for the information and the links to the handy checklists! 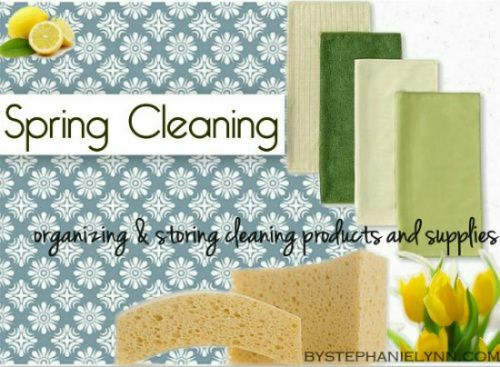 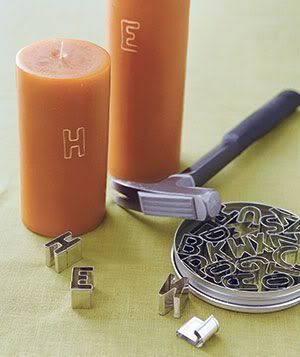 Wonderful resources and ideas for Spring cleaning Stephanie! 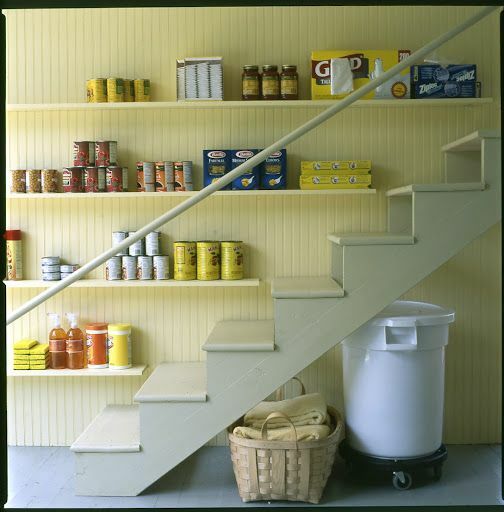 I just re-arranged my kitchen cupboards on this gloomy rainy afternoon. 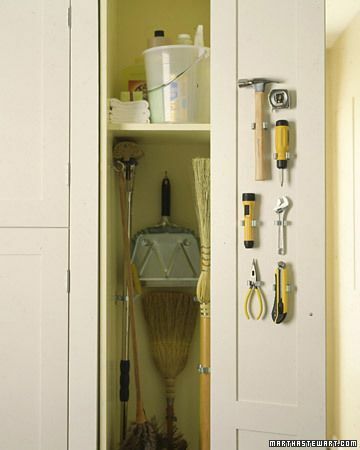 Seems to be the first place I start each Spring. 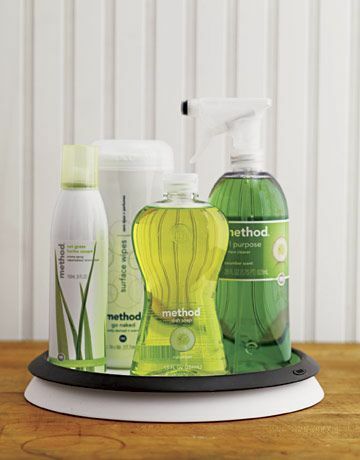 Thanks for sharing the inspiration and motivation! 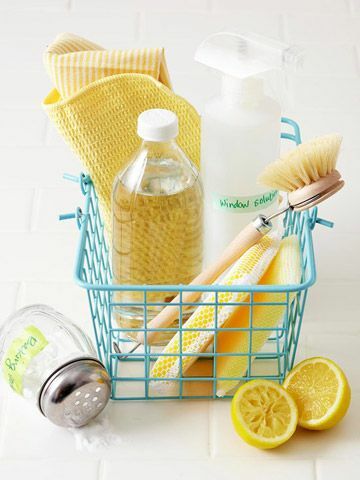 🙂 My daughter’s spring break is coming up soon and, since I’ll be taking the week off from work, it’s gonna be time to get some much-needed cleaning done! 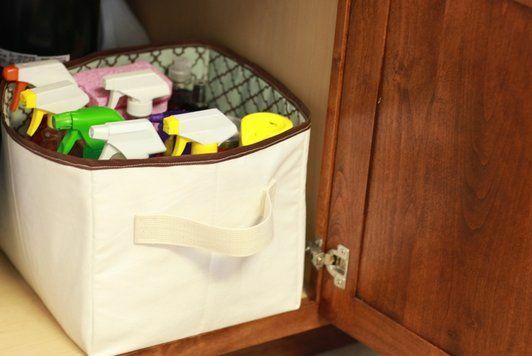 I’m definitely going to re-visit this post and print some of the checklists that you’ve linked!